The Australian Mathematics Competition (AMC) was introduced in Australia in 1978 as the first Australia-wide mathematics competition for students.It has become the largest single event on the Australian education calendar, allowing students to attempt the same tasks on the same day in over 30 countries around the globe. 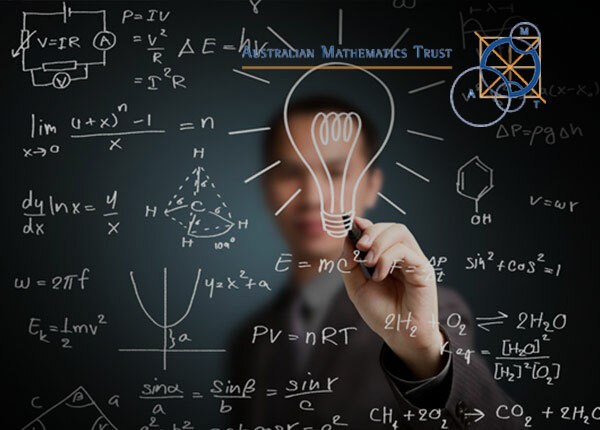 The Australian Mathematics Trust (AMT) is a national not-for-profit organization whose purpose is to enrich the teaching and learning of mathematics for students of all standards. 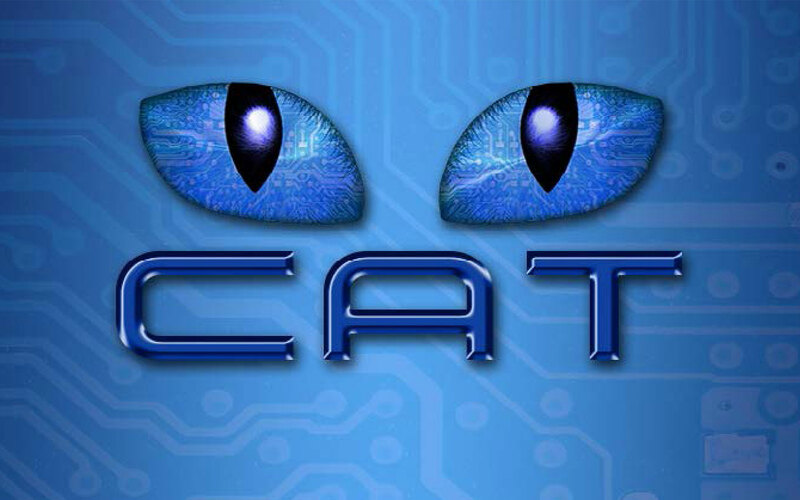 AMT hold mathematics and informatics competitions, administer enrichment activities, conduct workshops for students and teachers, and publish books on mathematical enrichment for Australian and international students. 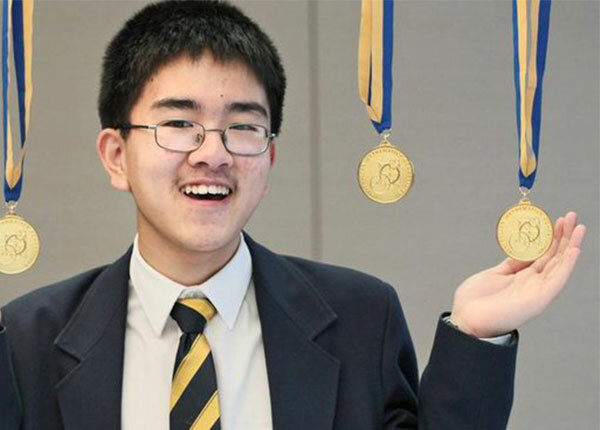 The AMT selects and supports Australia’s international mathematics and informatics Olympiad teams. Questions 1 to 10 are worth 3 points. Questions 11 to 20 are worth 4 points. Questions 21 to 25 are worth 5 points. 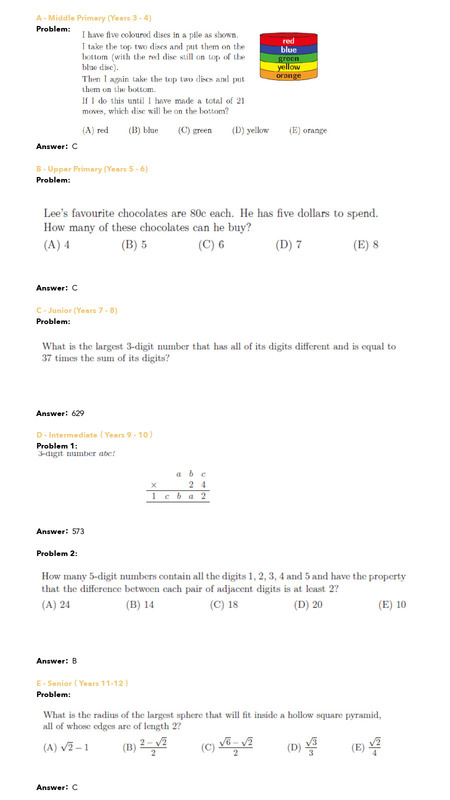 Questions 26 to 30 are worth 6, 7, 8, 9 and 10 points respectively. No penalties apply for wrong answers. Maximum score equals 135 points. Global Awards PETER O'HALLORAN AWARD FOR EXCELLENCE is awarded to any student who achieves a perfect score. PROFICIENCY: Students who achieve a preset score, but have not been awarded a Credit (or higher) certificate. The score will be set no higher than 32 points. 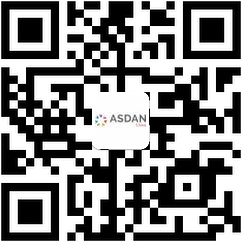 Register and pay online, and you can download past exams and all preparation materials. 1、Can the students bring a calculator to AMC? Calculators are allowed for students sitting the Middle Primary and Upper Primary papers. Junior, Intermediate and Senior papers: NO calculators, maths stencils, mobile phones or other calculating aids are permitted. 2、Are there any past exam papers or other studying materials? Past exam paper will be emialed to respective teachers after registering for AMC.